Sweet and practical. This wristlet is perfect for a splendid fall night on the town. 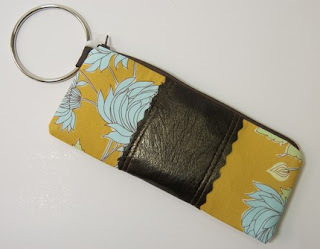 The modern color pallet includes a mustard yellow background with aqua flowers and a rich chocolate brown leather band. Wristlet is made by AO3Designs and can be found at Etsy.com.